Women in the Arts and Media Coalition: From LPTW: Women in Theatre Video Series for Sale for the Holidays! From LPTW: Women in Theatre Video Series for Sale for the Holidays! The perfect gift for any theatre woman! The perfect holiday gift for any theatre woman! 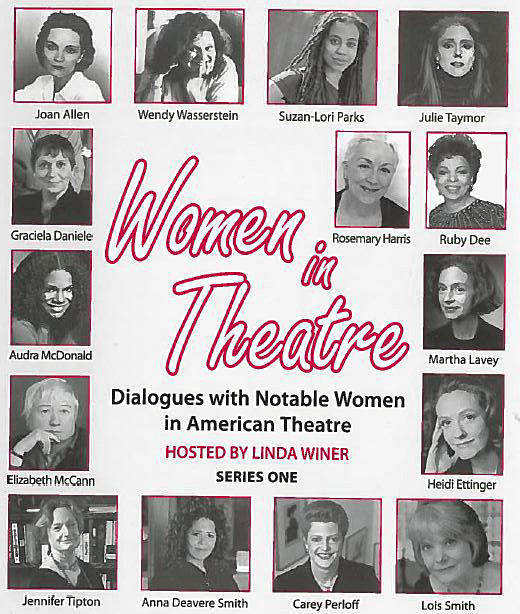 Heidi Ettinger, Ruby Dee, Graciela Daniele, Audra McDonald, Elizabeth McCann, Julie Taymor, and The Steppenwolf Theatre Company (Martha Lavey, Joan Allen, Lois Smith). This series was produced by the League of Professional Theatre Women and City University Television. Distributed by Theatre Communications Group.